Hi everyone! 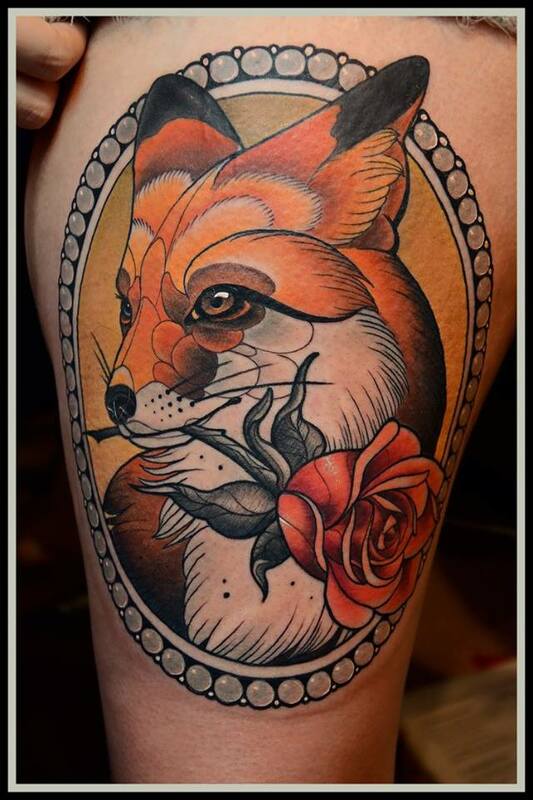 Last week-end, « Le Mondial du Tatouage » (a big tattoo convention) took place in Paris, France. 340 artists from 20 countries were here, so I’ve wanted to write something for those of you who weren’t there. 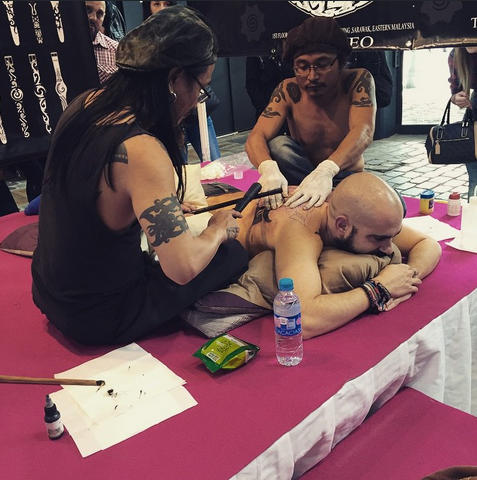 « Le Mondial du Tatouage » is three days of tattooing, tattoo contests and artists meetings. United States, England, Japan, France, Taiwan, Germany… every country, every artists and every style have a place here. First day was Friday and it’s needless to say that many people from around the world were at the « rendez-vous« . It’s time to discover the amazing traditional art of Shige (JP), or the beautiful stained glass inspired tattoos of Mikaël De Poissy (FR). Plus, to end this first day full of promises, As They Burn (Deathcore/FR) and The Ocean (Progressive/DE) were on stage to play some music and keep the party going. Nb: the tattoo of the day contest winner was Ivana from Ivana Tattoo Art (USA). Saturday’s the biggest day, of course. If you’re impressed by all the artists, you will certainly be impressed by this year judges! 2015 welcomes the famous Filip Leu, Bill Salmon and Luke Atkinson. French people also got the pleasure to meet Tin-Tin, one of our greatest tattoo monuments here with Pascal Tourain (the most tattooed man in France) who plays the event host for those three days. Also, for this year, the tattoo contest prices were designed by Simone El Rana. Wanna be more and more impressed? Take a minute to stop by those traditional artists, Horisama (JP) for example, will blow your mind. Now, who can says that tattoo isn’t art? Nb: the tattoo of the day contest winner was Fat Manu from Street Art Family (FR). Sunday was the last day but also my personal tattoo day, how exciting! So, I’ve met Yann Neumann from Lions Grave Tattoo (LU) at 11:00 am and he starts tattooing me at 12:00. If you follow me on Twitter (@kathleen_bsq), you’ve probably noticed that I’ve talked about a tattoo project. After 6:30 hours (of pain, yes I will not lie), I’ve welcomed my sixth tattoo, but also my third animal from the forest. If you want me to make a tattoo video or blogpost, leave me a comment and I will! It was such a great experience to be tattooed in a tattoo convention and to see so many people take a minute to talk with me or the tattoo artist, to take pictures or just say how they love it. Yann is a really talented artist and I’m totally ready to make a trip to Luxembourg to get a new piece from him. There is a picture of my new baby! What do you think about tattoos? Do you got some?